We’ve long known that five-year survival is not a useful measure for the most common hormone positive breast cancers. And we’ve challenged major breast cancer organizations, like Susan G. Komen, for spreading misinformation about breast cancer using “5 year” data in the service of fundraising off overly positive statistics. A new meta-analysis published in the New England Journal of Medicine confirms, again, that women with estrogen-positive breast cancer cannot be considered cured after just five years. The risk of these breast cancers recurring elsewhere (or metastasizing) remains constant from years five to 20—unlike for triple-negative breast cancer, for which 5 year data is meaningful. 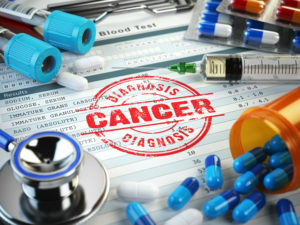 The new study shows that while risk of the cancer spreading is highest for women with the most lymph nodes involved, even for women with no lymph involvement, the annual rate of distant recurrence remained steady at about 1 percent for a period of five to 20 years. The question about how long to continue hormone therapy treatment is an important question for women. While extending hormone therapy an additional five years reduces the risk of distant recurrences by a small percent, it comes with both health harms and quality of life issues that must be weighed by each individual woman, based on her preferences and priorities.